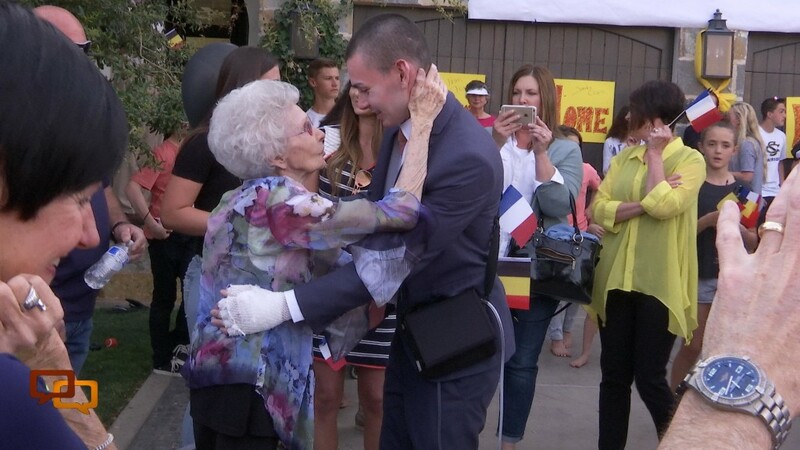 ST. GEORGE — Two weeks after being injured in the March 22 Brussels, Belgium, bombing attack, 20-year-old Joseph “Dres” Empey returned to his home Wednesday evening in Santa Clara. 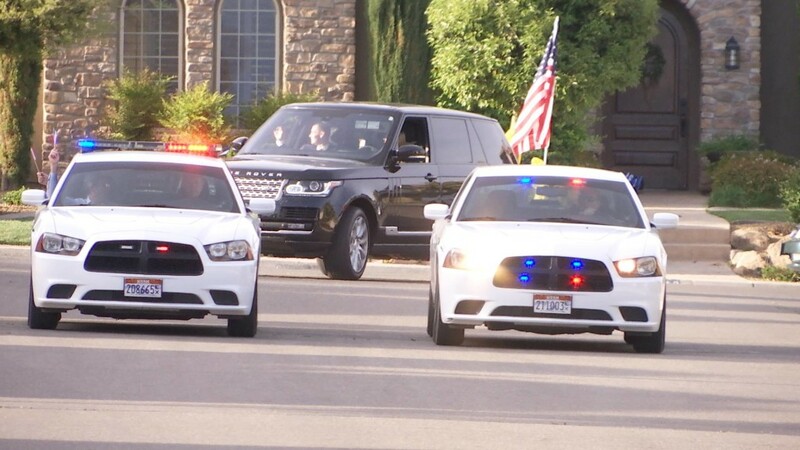 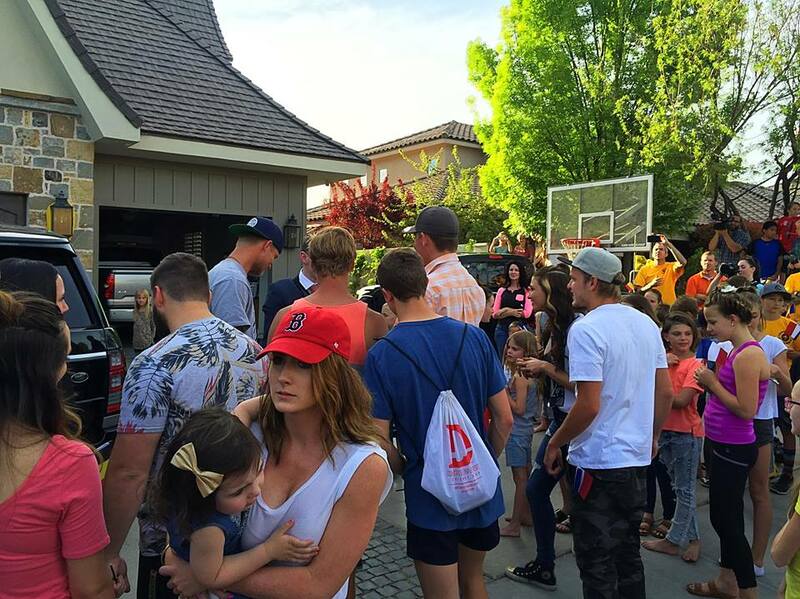 Sirens blared in the normally quiet neighborhood as the Empey family, escorted by members of the Santa Clara Police and Fire departments, returned home from University of Utah Hospital in Salt Lake City with their son. 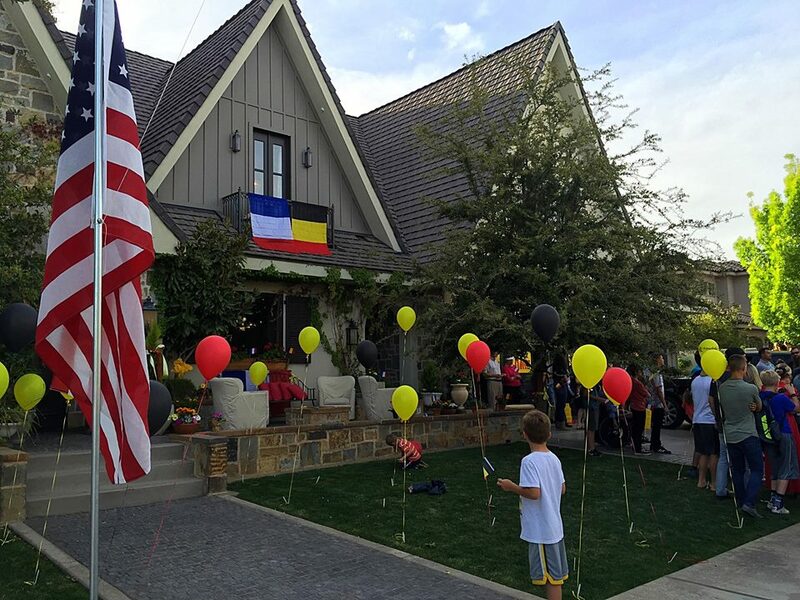 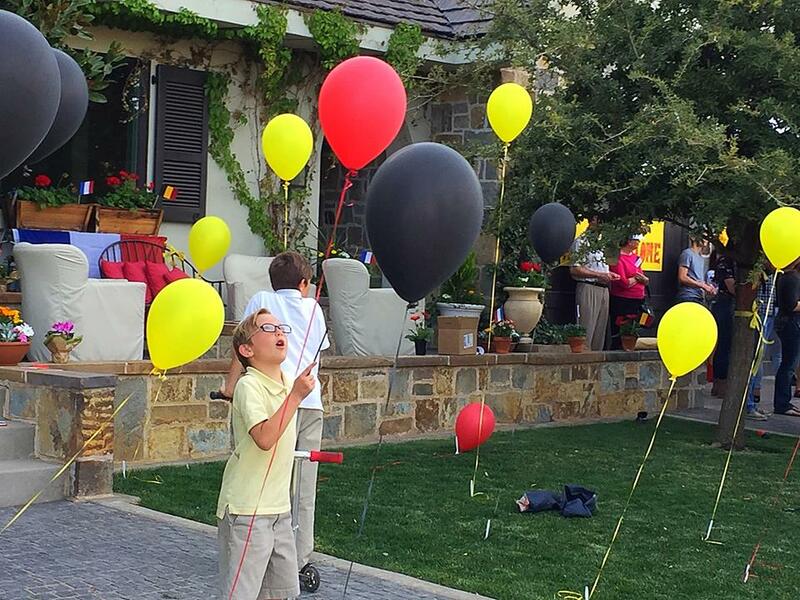 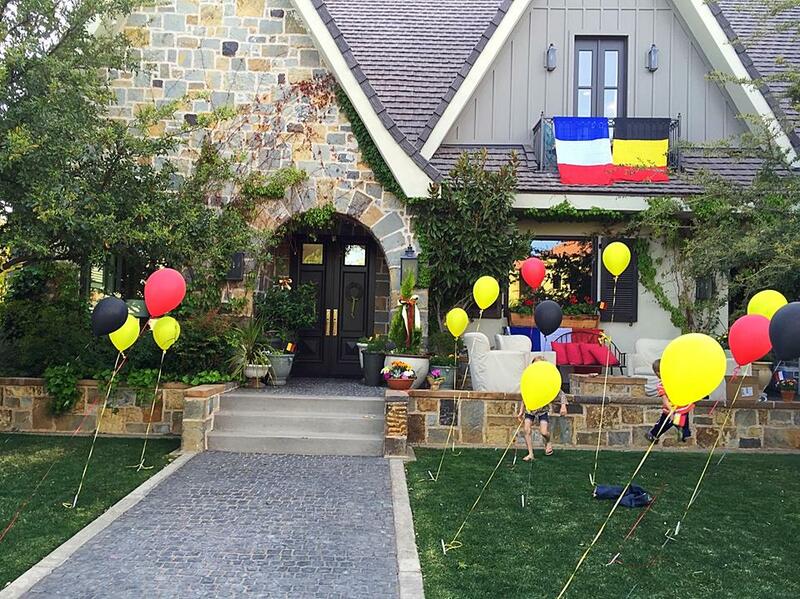 Friends, family members, neighbors and other community members filled the Empey’s street that was lined with American flags while the front lawn of the Empey’s home was covered in red, black and yellow helium balloons representing the national flag of Belgium. 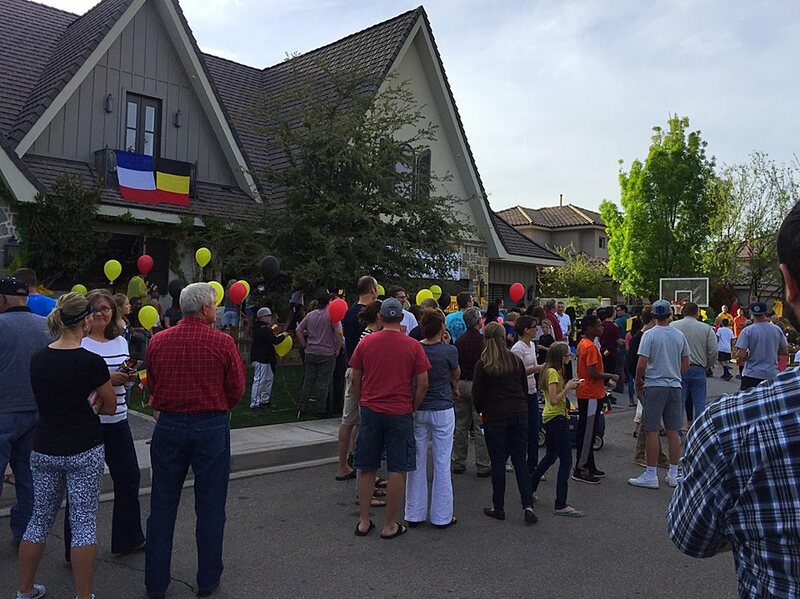 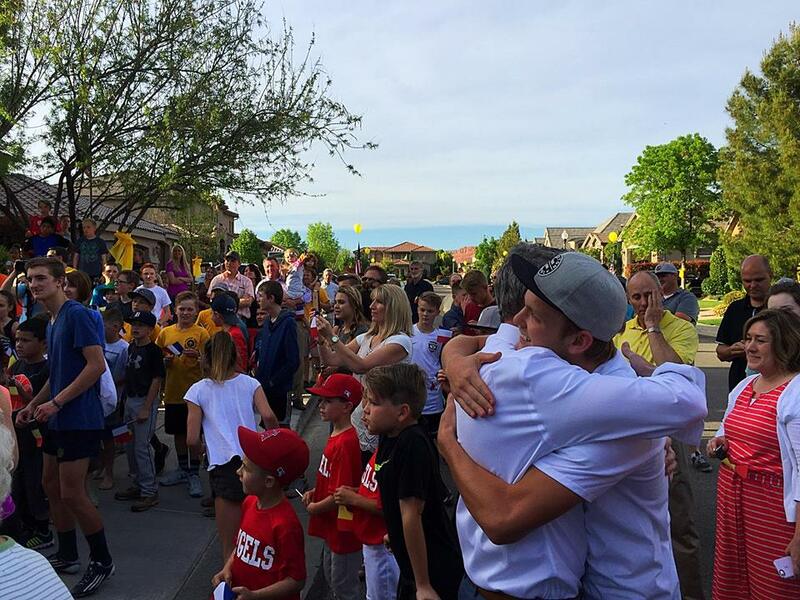 Signs proclaiming “Welcome Home Elder Empey” could be seen throughout the neighborhood as Southern Utah residents cheered, waved and lined up to greet the young man, who had been serving as a missionary for nearly the last two years for The Church of Jesus Christ of Latter-day Saints in the Paris, France, mission when the terrorist attack occurred. Neighbors Brian and Kristin Hill, who have been friends with the Empey family for the last 20 years, said they used to babysit Joseph Empey when he was a little boy, making the news of his injuries especially difficult for their family to hear. 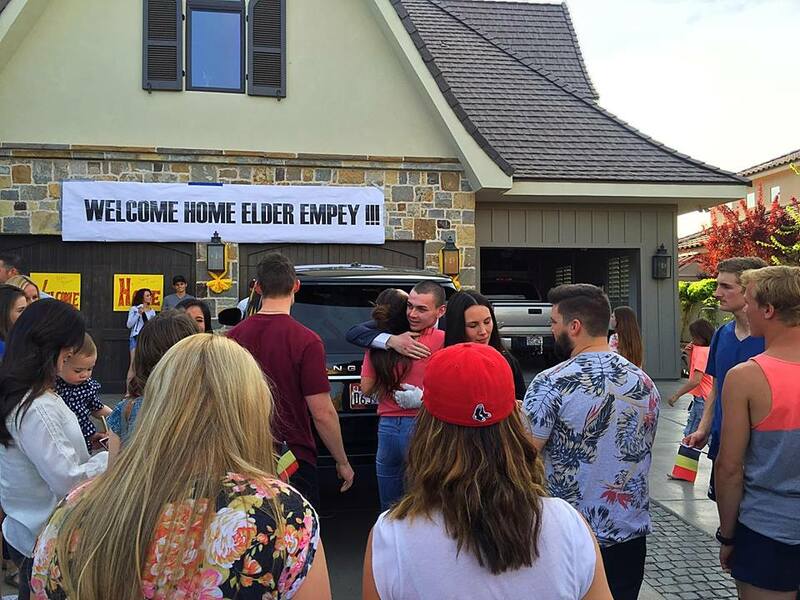 Joseph Empey and two other missionaries were at the Brussels airport accompanying a fourth missionary, who was on her way to a mission assignment in Ohio. 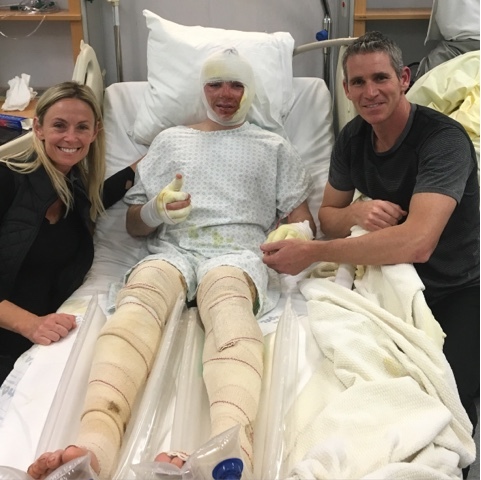 The four missionaries were in proximity of the explosion when it occurred and all were subsequently hospitalized as a result of their injuries. 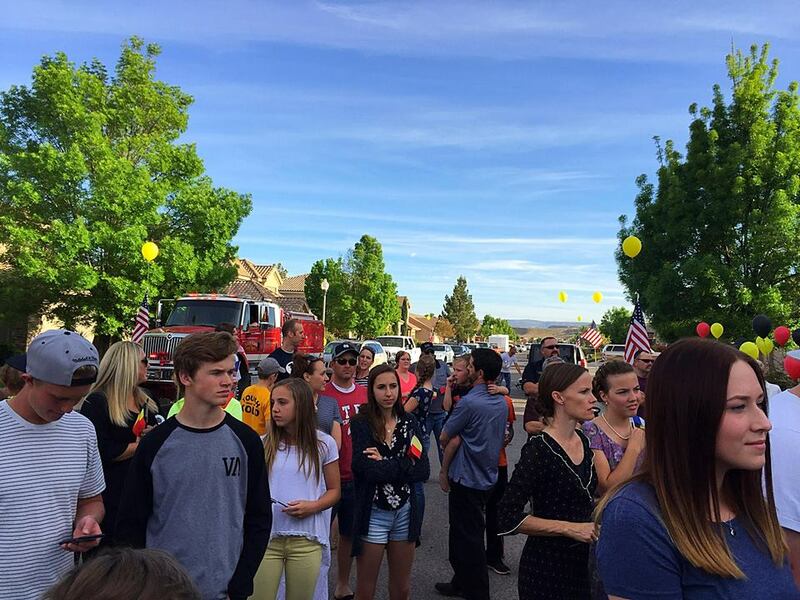 Now, back home in Southern Utah, Kristin Hill said the neighborhood is glad to see Joseph Empey back safe and sound. 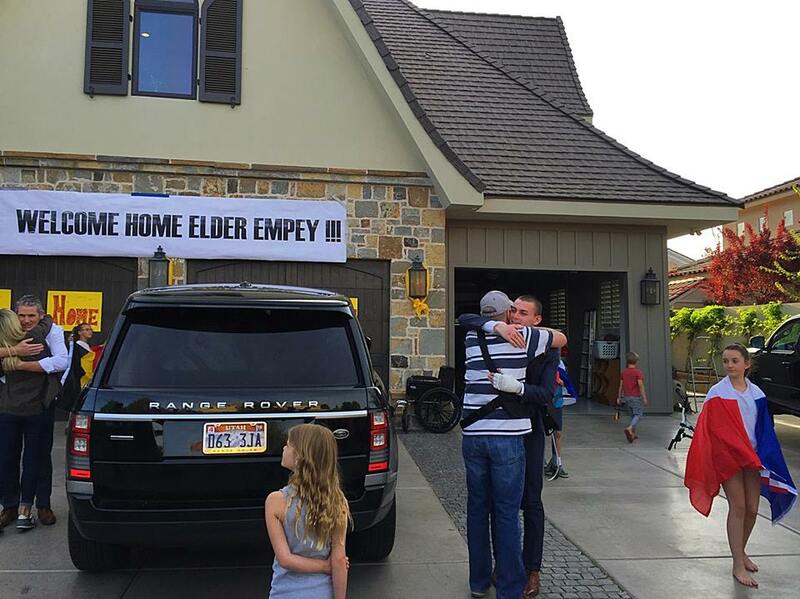 LDS Bishop Chad Parker said he has worked with Joseph Empey at church for the last four to five years. 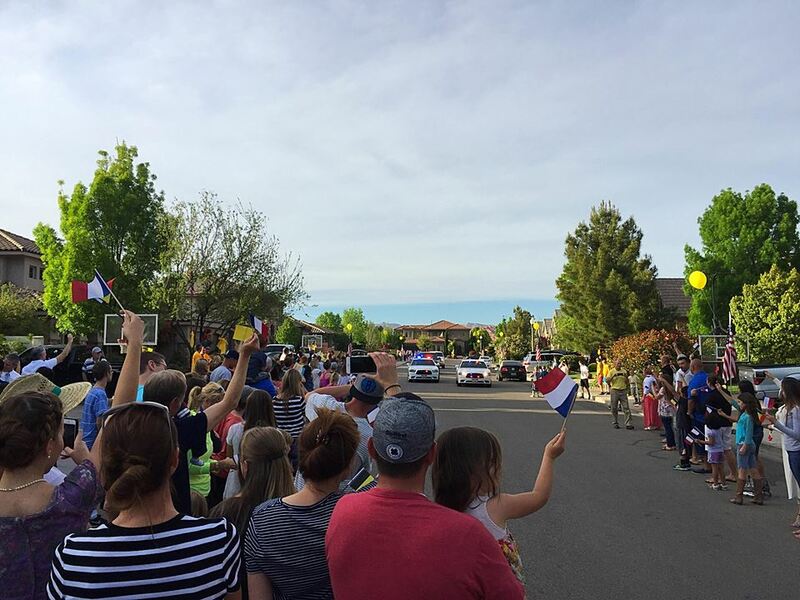 Parker said the large turnout of well-wishers waiting to welcome the elder home from his mission Wednesday was exactly what he had expected. 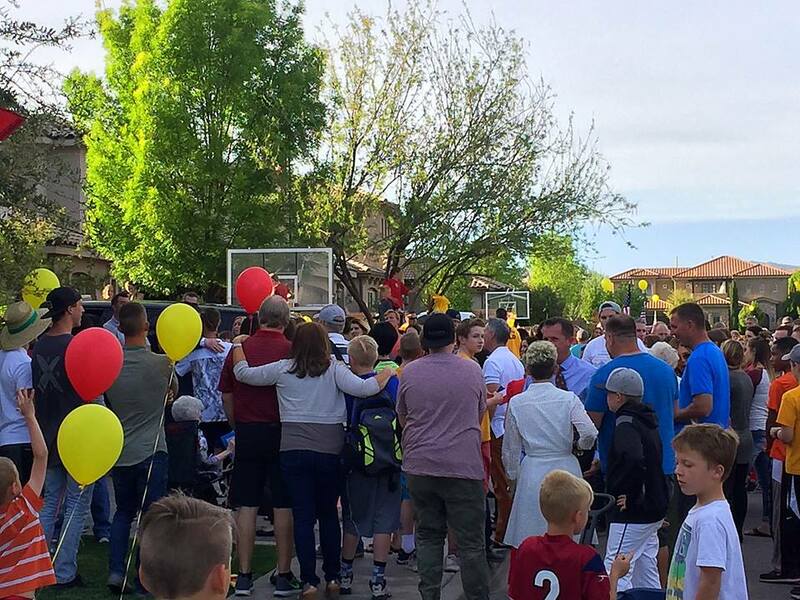 High school friend and neighbor Justin Morgan called Joseph Empey an “awesome kid” who is loved by many, adding that it is fun to see him back home. 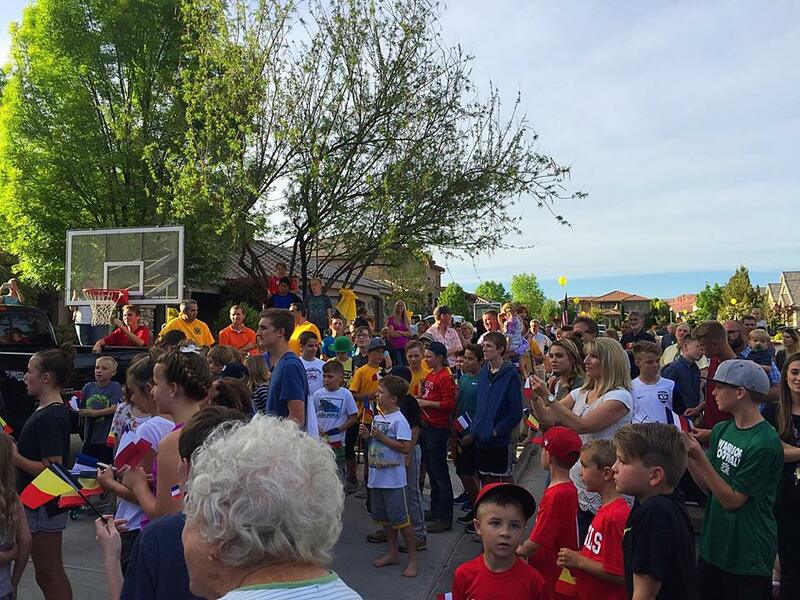 Nothing like welcoming your Mormon brethren home eh ? Wow, it’s amazing to think that the person in bandages in the pictures is the same one in the video. 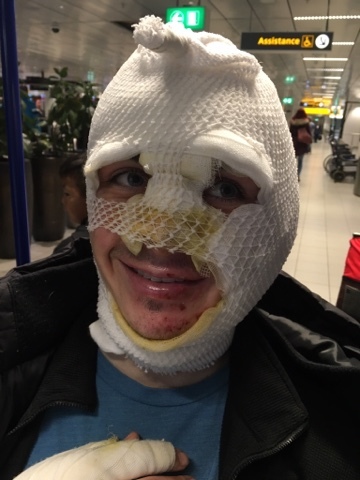 And in only 2 weeks. 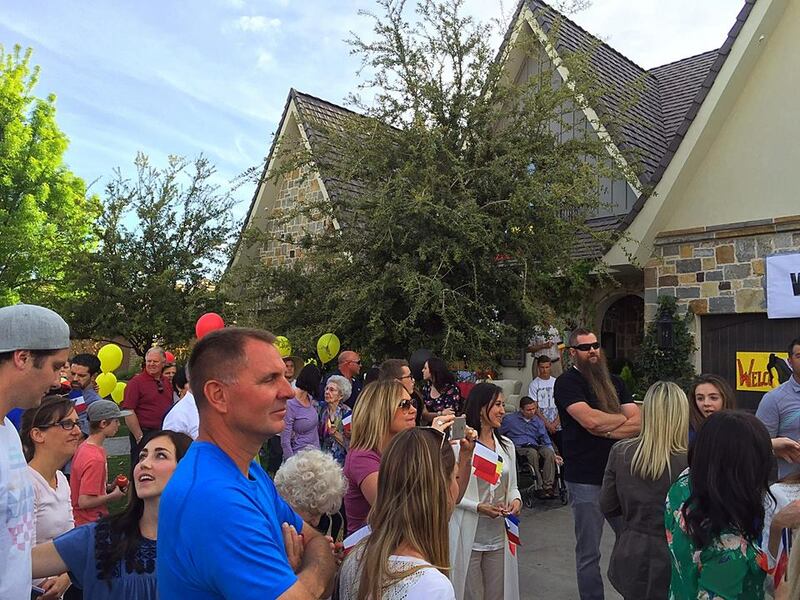 What an amazing (dare I say miraculous) recovery! 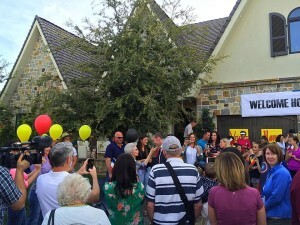 Welcome home, Joseph! 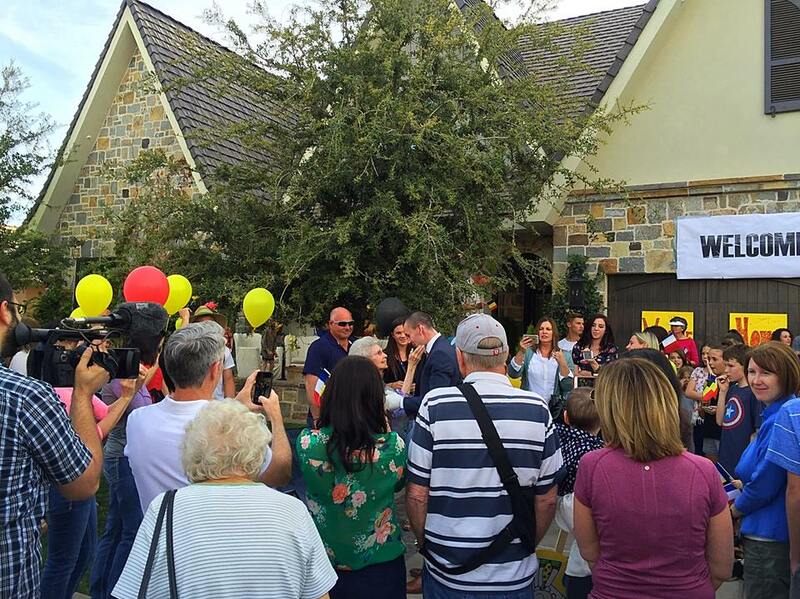 What great love and support from family and neighbors.